Plato vegetariano (roasted pepper stuffed with Monterey Jack, cheese enchilada, taco, and slivers of squash). 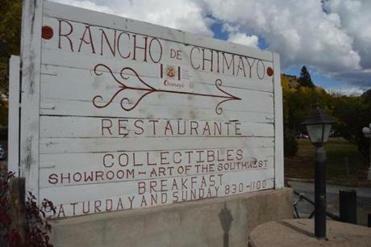 CHIMAYÓ, N.M. – There’s usually just one reason to explore this tiny town tucked away on what they call the High Road to Taos, the scenic route that winds from Santa Fe to the popular skiing destination. Most visitors make a pit stop here for El Santuario de Chimayó, the historic church whose rugged beauty and petite scale make it resemble a postcard come to life. I would add another excuse to pull over: the carne adovada plate at Rancho de Chimayó. 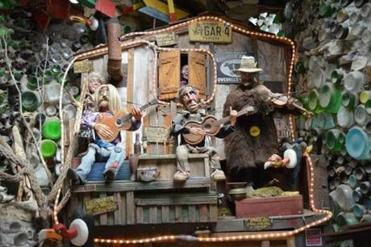 Celebrating its 50th anniversary later this year, Rancho de Chimayó has been its own roadside attraction for as long as anyone around here can remember. Its cuisine is a no-frills take on New Mexican cooking, with its obvious influences from Mexican and Native American cultures. Against the dramatic backdrop of the Sangre de Cristo mountains, the restaurant unfurls in a warren of rooms, from intimate dining areas to larger open spaces. Sarapes and black-and-white family photos adorn the adobe white walls, framed by the ceiling’s wood beams. The entrance is trimmed with chile ristras, the string of ornamental dried red chiles that’s a familiar sight in these parts. Traversing the Turquoise Trail reveals a lot about this central region of New Mexico and the people who call it home. The Jaramillos converted what was originally a residence built and occupied by Arturo’s family into a restaurant in 1965. When they divorced in the mid-1980s, Mrs. Jaramillo bought out her husband’s holdings. She has been the sole proprietor ever since and is still on the premises almost daily. Plenty of people, it turns out. On a bright, autumnal day in October, we waited a half-hour for a table for two as crowds collected out front. If you don’t have a reservation, at least take a seat in the lounge area, where the cantina menu entices with excellent (read: potent) margaritas to grease the wheels. Chips and salsa, both made in house, are a cut above your standard combo: These are warm, crisp, and modestly salted, with salsa whose heat doesn’t hit you till the last note on your tongue. Listen, this place isn’t for the peckish. The portions are ample, and the food itself isn’t what you’d call a light supper. In fact, when we stumbled (I blame the margarita) out into the afternoon sunshine, I felt so stuffed but satisfied that I briefly considered a nap in the rental car. In other words, pace yourself. In case you need to stay overnight, across the street is the Rancho de Chimayó’s Hacienda, a bucolic country inn that opened in 1984. With dinner entrees ranging from $9.25 to $21.25, the prices are a steal by city standards. The extensive menu rolls out the usual suspects (flautas, tamales, tacos, an unnecessary hamburger) but also some nice surprises (shrimp pesto enchiladas during lunch hours). Back to that carne adovada. 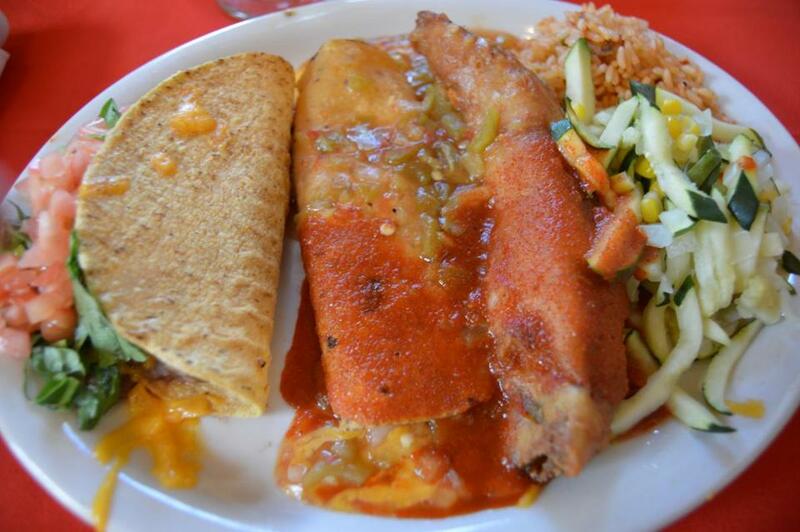 The Rancho’s signature dish, it’s decadent and considered native to New Mexico, with marinated pork cooked in red chile sauce until it crumbles when it meets the fork. On the side are rice and posole, or hominy, another staple of Mexican cuisine that’s rendered beautifully here, less a soup and more like a side. 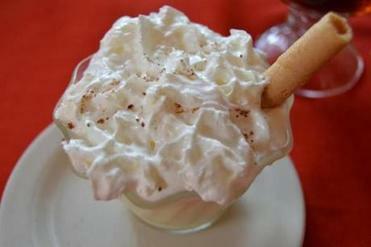 Natillas, a Mexican take on vanilla pudding. This place isn’t for the peckish. 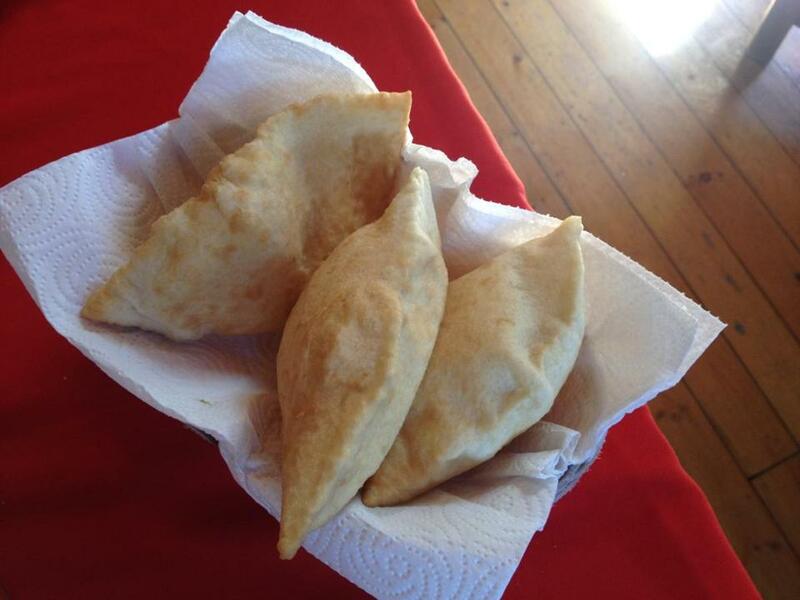 The portions are ample, and the food isn’t what you’d call a light supper. With dinner entrees ranging from $9.25 to $21.25, the prices are a steal by city standards. As popular as Rancho de Chimayó is, with a packed parking lot of license plates from various states, Jaramillo remembers the lean years in the beginning and a few hurdles more recently, too. In 2008, a fire (Jaramillo claims it was arson after she fired “a young kid”) nearly gutted the place, but she brought it back to life after being shuttered for more than a year. It was only then that she understood the restaurant’s legacy and importance to the community. James Reed can be reached at james.reed@globe.com.